The biggest signing on the eve of the free agent frenzy was the Boston Bruins inking defenseman Torey Krug to a 4-year contract extension, just before he was to officially become a restricted free agent. The deal is reportedly worth $21 million, which works out to be a $5.25 million cap hit per season, which doesn't look too bad for the future face of the Bruins blueline. In 81 games last season, Krug finished with 4 goals and 44 points, ranking 21st among all defensemen in scoring. He may not have a great deal for goals, but he does have a good eye for offense and his 40 assists are a very good indication of that. He will certainly be one of those good defensemen that you can pick up in the middle rounds of the draft and count on him for 40-to-45 points, if all goes well with the Bruins in free agency. The Bruins are right in the thick of their retooling/rebuild and as much as they have a core group of NHL regulars, they still have a lot of holes to fill, especially if they want to find their way back into the playoffs before too long. They should have no problems with their cap situation, because I currently have them at $19.2 million below the cap ceiling for the players in colour below, which is only 14 guys today. The Washington Capitals avoided restricted free agency with forward Tom Wilson on the day before the markets opened, as the rough & tumble forward signed a 2-year, $4 million deal on Thursday. Wilson, known more for his trips to the penalty box, still chipped in with 7 goals and 23 points in all 82 games last season, not too far out from the pool worthy list. Wilson also finished up with 163 PIM on the year, so if there is another round of the PIM pool next season, he would be a good candidate for selection. Well outside the pool worthy list, defenseman Michal Rozsival sits, having 1 goal and 13 points last season with the Blackhawks, but he re-signed with the club on Thursday, inking a 1-year deal, worth $600,000. This might be worth noting, since playing some minutes with the Hawks should earn a player some points and the Chicago blueline depth isn't quite there at the moment, so it could work out in his favour. 22-year old defenseman Jake McCabe signed a new deal with the Buffalo Sabres on Thursday evening, getting three years and $4.8 million in total, which should work out to be a very good bridge-like deal, taking him a little closer to unrestricted free agency. Last season, he featured in 77 games for the Sabres, scoring 4 goals and 14 points, which isn't too bad in his first full year, playing on a rebuilding team. I think he is certainly one we may have to bump up, getting closer and closer to being pool worthy. With the signings yesterday, the other shoe was likely to drop and a buyout was likely to take place to help the cap situation for the Blue Jackets and indeed it happened, as Fedor Tyutin was indeed bought out of the last two years of his contract. Tyutin had a no-movement clause, so he didn't need to spend any time on the waiver wire and the buyout was complete right away. The buyout will last for four years against the cap, as his $4.5 million cap hit will be taken down to about $1.2 million, saving $3.3 million this season and about $2.4 million next season. The cap hit in the final two years will be $1.458 million and then they will be clear of him. Details here. Last season, Tyutin had 1 goal and 3 points in 61 games for the Blue Jackets, making him into an easy option for the buyout. There were a total of six players placed on unconditional waivers for the purpose of the buyout and one of the headliners in that group was Boston defenseman Dennis Seidenberg, who had two years left on his deal, each carrying a cap hit of $4 million. With this buyout, the Bruins will have his hit on the books for the next four seasons, will save a bit more than $2.8 million this season and $1.8 million next season, while a $1.2 million cap hit will weigh in for years three and four. In the 2016 season, the 34-year old German only scored 1 goal and 12 points in 61 games with the Bruins, but should still have a good year or two left in him. He should be an attractive pick-up this Summer. A player taken in last season's draft, but didn't have a particularly good season, was Tampa Bay's Matt Carle, as the 31-year old defenseman only picked up 2 goals and 9 points in 64 games. The last two years of his deal will be bought out on Friday, as he was one of the six placed on waivers on Thursday morning. He has two years left on his deal and a cap hit of $5.5 million each. The cap hit for all four years of his buyout comes in at $1.83 million, which means there is some significant savings in those first two seasons. With the pending contract for Steven Stamkos on the horizon, the Lightning gain a little bit more flexibility to tinker with their lineup with this buyout. Another notable defenseman was on waivers today, as Barret Jackman was notified of his impending buyout on Friday from the Nashville Predators. His deal only had one year left on it and it carried a $2 million cap hit. The cap hit for the two years of the buyout will only be $666,667, so there isn't a great deal of savings, but it does open up another roster spot for some of the Predators youth or a new free agent. Jackman, not necessarily known for his offense, didn't really have any in 2016, scoring 1 goal and 5 points in 73 games. He would be a steady add for some team that could use his physical, veteran presence. The last major buyout of the period came in the afternoon on Thursday, as the Carolina Hurricanes officially bought out defenseman James Wisniewski, who had one year left on his deal at $5.5 million against the cap. A knee injury ended his season before the first game was even over, so he really didn't get to show off his wares at all in 2016. His knee injury must have been sufficiently healed, as the Hurricanes would not have been able to buy him out otherwise. The Hurricanes will only save about $2 million this season and will carry a cap hit of $1 million next season. His details are right here. The Hurricanes are still $9.43 million away from the cap floor, heading into free agency tomorrow, so they will definitely be spenders, one would assume. As we draw closer and closer to the frenzy, we now have a pretty good idea of who's heading to market, barring a last minute push, trade and/or signing of a player. So far, many of the names that were scheduled to appear in free agency, have stuck around to this point, which gives us lots of points of interest to talk about. This post, however, we'll just go over the top 10 pool worthy players, which may or may not exactly be the top 10 most exciting players to move. Thanks to the NHLPA invoking their lifting clause, the salary cap ceiling did see a slight increase, heading up from $71.4 million to $73 million. It isn't much, but at least the cap didn't drop below $70 million, which would have happened, if the union didn't step up here. 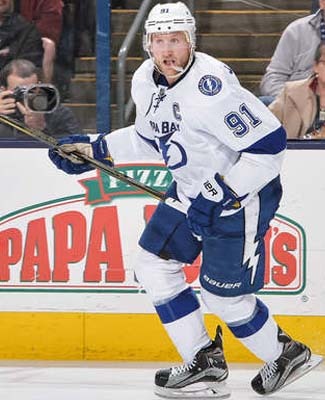 The biggest prize of them all is Steven Stamkos, who may have suffered a little bit of frost bite from the team in recent seasons, as differences with the coaching staff and the roster's ability to win games, even in the playoffs, without him, may have caused an irreparable rift. The Lightning have kept their cards close to the vest, leading up to free agency, but with all the talk that the Lightning have reached out to the Stamkos camp, the numbers were not exactly working in their favour, so it seemed more and more likely that the team's captain would head to the open market. Despite a blood clot issue at the end of the regular season, Stamkos still finished atop the rankings for potential unrestricted free agents, finishing the year with 36 goals and 64 points in 77 games. By no means are those career-high numbers, but his role had changed in recent years with the Lightning, so now he'll look for an opportunity where he can be that guy again. It has been expected for a couple of weeks, that Kyle Okposo was set to head to unrestricted free agency, after the Islanders' management team apparently wished him well through the free agency process. A pretty good sign, right? 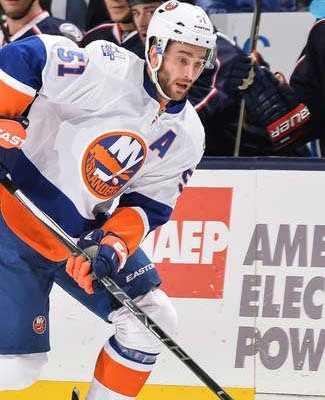 The 28-year old American has played in nine NHL seasons, all with the Islanders and now might be a really good time for him to make a change and collect a few extra bucks doing so. His 2016 was good, ranking 24th among forwards with 22 goals and 64 points in 79 games with the club and he could be in for a significant raise on the open market. It's hard to imagine that the Islanders wouldn't throw a number at him, but he will likely look for a team and a dollar figure, that makes sense for him. One of the more interesting trigger men to possibly hit the open market would be Boston's Loui Eriksson, a 30-goal scorer in the 2016 season. The Bruins have some holes to fill and can't seem to close the gap between offer and demands between themselves and the player, ahead of unrestricted free agency. 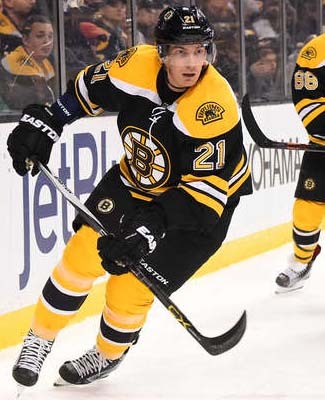 There is little doubt that Eriksson will find what he's looking for on the open market and the days that have led up to free agency opening tomorrow has probably been filled with many suitors, so I would imagine that he will be one of the first to go tomorrow at Noon ET. In total, Eriksson had 63 points in all 82 games and the 26th ranked forward had a cap hit of $4.25 million last season, making him into a fair bargain. Can't imagine he'll be much of a bargain after July 1st. 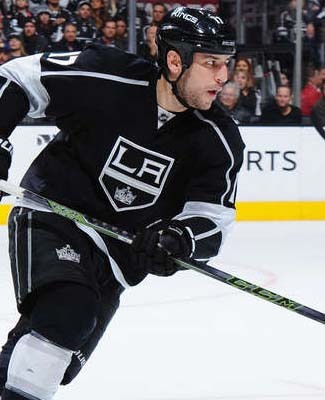 The Los Angeles Kings, no matter how much they thought they could be, were not really going to be in the market to re-sign forward Milan Lucic, unless some moves were made, previous to the open market going live tomorrow. Between his age and scoring comparable players, Lucic was actually in some pretty distinguished company, so it was going to be hard for Los Angeles to work around some of their cap issues for him. Lucic finished the year with 20 goals and 55 points in 81 games, which ranked him 82nd overall in pool scoring and was arguably a bargain at a $3.3 million cap hit. On the open market, he'll receive a bit of a raise, but if he's going to name his price, he might be on the list for a little while. Frans Nielsen quietly goes about his business and manages to post some very respectable numbers and I would bet that he would like it to stay that way. Unfortunately, being a high profile unrestricted free agent may change things this Summer, as he ranks 5th on the list this year, as the clock ticks over to the flood gates opening. 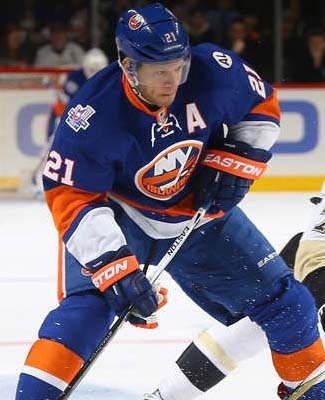 In 2014, he posted 58 points, 2015 was 43 points and then in the 2016 season, he got back up to 52 points and was a 20-goal scorer as well for the Islanders. Still, his name doesn't really jump off the page at you, especially when it comes to the hockey pool draft, but someone in the NHL is going to see the value of his steady game and there is a fine chance that he will get a significant raise from his $2.75 million cap hit he had last season, especially at the ripe age of 32. 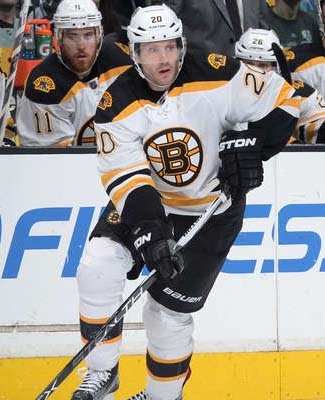 The well-traveled Lee Stempniak is heading back to the open market, as his brief stint with the Boston Bruins was only just a rental agreement, by the look of things. There might still be a home for him in Beantown, but the Bruins are probably going to exercise their options before coming back to the 33-year old in the early part of the Summer. Last season, his cap hit was a fine bargain at $850,000 and he finished 107th overall in pool scoring, so there is certainly some value there, but the Bruins are not going to get him that cheap again, hence the wait. 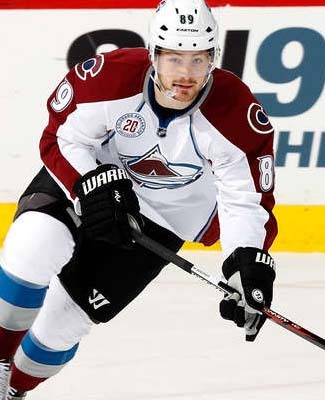 It's hard to imagine a talent like Mikkel Boedker would be a rental player, but heading into the frenzy, the Colorado Avalanche have announced that Boedker will go to free agency, but that isn't to say that they won't be a big player in the bidding process for his services. The 26-year old Dane scored 17 goals and 51 points in 80 games between Arizona and Colorado and still has some more upside, assuming he can sign with a team that has a little bit more scoring depth and/or more maturity than the two teams he has featured with already in his career. It isn't exactly a banner year for goaltending on the open market, as the hot commodities, which are number one goalies, are generally locked up for the long-term and are rarely available this late into the Summer. It is definitely more about goalies who believe they have earned a shot at being a number one elsewhere, enter Chad Johnson. 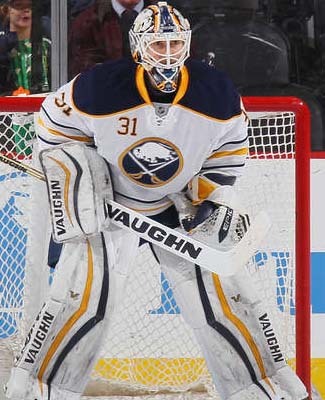 Johnson did an admirable job in Buffalo, while Robin Lehner recovered from an ankle injury, but Lehner has been identified as their number one, so Johnson will try and find a shot elsewhere through free agency. The 30-year old appeared in 45 games for Buffalo, registering 22 wins and 48 points, good enough for 26th among goalies in pool scoring. His cost would be very modest and for some teams that don't want to break the bank on goaltending, they could have some definite interest in Johnson. 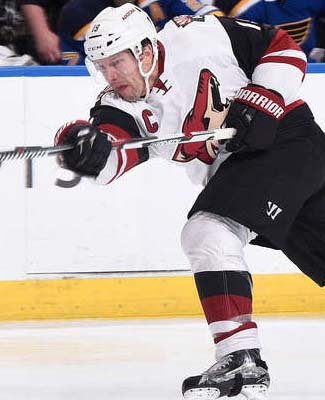 Could this be the Summer where Shane Doan finally leaves the Coyotes organization to try and win himself a Stanley Cup before the end of his loyal career? Would you believe that he is already coming off of his first 35+ contract, which was a 4-year deal at the time? The 39-year old forward was still producing in the 2016 season, scoring 28 goals and 47 points in 72 games for the dogs, so he still carries a lot of value to a team, especially in the leadership department. The Jets/Coyotes have been a great franchise for him and he will always be remembered as a long-time member of this franchise, but there would be no better finish to his career than with a championship. I'm not exactly sure about how many teams there are that could jump on a contract for a guy who will turn 40 around the start of the season, but there will have to be someone, I'm sure. The curious case of Andrew Ladd and what his value might be moving forward. There was a lot of chatter that if Winnipeg was to re-sign him to a contract extension, it would have cost them an arm and a leg. After the trade to Chicago and the Blackhawks' exit from the playoffs, combined with the role Ladd played, he demands may not be quite as high for a team to sign him on. 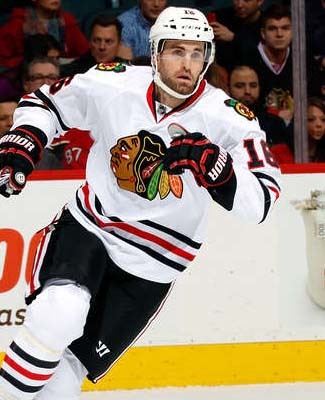 In 2016, between Winnipeg and Chicago, Ladd played in 78 games, scoring 25 goals and 46 points, which was only good for 100th among all forwards on the scoring list. That should have a real impact on what his overall cap number should be, especially if he is looking for a long-term deal. The World Cup of Hockey will face-off on September 17th and we should be seeing camps open for all the announced rosters in the couple weeks before that. That should give us ample time for us poolies, however many there may be, to scout the teams and prepare a list for drafting. The beginning of September is usually quite the busy time for the ol' Opiated Sherpa, so we'll have to stage a mid-week draft, for those who are interested in doing a little bit of pre-NHL season gambling. The best day to go will be the Thursday before puck drop, September 15th. By then, we'll know who will be playing with who, who hasn't conditioned themselves very well and got hurt in camp and who will have replaced Slava Voynov for the Russian team. The location will be determined on the premise of how many people will be taking part in this draft, I have a couple of places in mind, so we'll work on that closer to the date. If you are interested in taking part, please let me know one way or another, so I can get a solid count. This draft will go, no matter how many people want to get involved and it will be a little bit of a free-for-all draft, where the expectation is that we'll draft until there are no more players left to take and there will be no positional limits. Player lists and all the necessary information will be provided and hopefully our location will either have screens or a projector for easy viewing. The second deal of the day had a lot to take in as well, as the Montreal Canadiens and Nashville Predators swapped their top defensemen in an exceptionally bold move. The Predators receive an exceptional talent at high speeds in P.K. 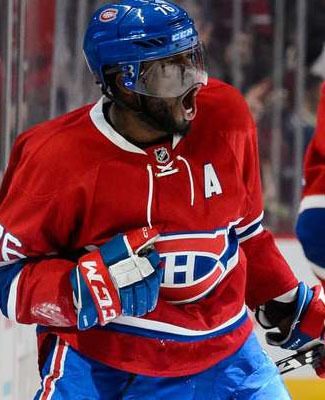 Subban, not to mention a massive personality that rivals some of the biggest stars in the other major North American sports. With that dynamic talent, however, does come an element of risk, which is not only entertaining, but it is also a detriment some nights, but those nights have been growing fewer and farther between. The blueline in Nashville will be a fun one to watch, especially when Subban gets added to the group that already has Roman Josi and Ryan Ellis as offensive dynamos, all playing in front of a world class goaltender in Pekka Rinne. It seems to me to be a contrast of styles matching up here, with Nashville being a little more defensively responsible than Montreal, where Subban was able to freely skate up and down the ice and do what he does best and I never really thought Nashville needed an injection of life from the back end, since what they had already was doing the job quite well. Projections will certainly be tough here. Now, on the other hand, the loss of Carey Price to injury really showed how much of a free wheelin' team the Canadiens were and in Shea Weber, I don't think they will give up nearly as much offense to get some much needed steady defense in front of whoever is in net for the team. Weber will provide a punishing presence on this Habs blueline at both ends of the ice and he carries a big leadership factor to every game as well. With Weber and Andrei Markov at the point, either on the same power play unit or different ones, they will have a pair of bombers that can devastate goalies and both can make that first pass out of the zone to some forwards that are there to skate it out. The physical presence will also be something to marvel in the Atlantic Division, which may give them a leg up against some teams, like Toronto or Tampa Bay. And the best part about that is that you're not giving up any offense to get it. Montreal will take a little bit more of a cap discount in this situation, but there are going to be some real cap complications, if Weber retires before the end of his term is up. His deal was signed before the latest CBA came into effect and his 14-year deal was really one of the last big deals to be signed. There is lots to like in this deal, from the outside looking in and not as a fan of either team, since both teams are certainly adjusting their thought processes in how they will go ahead and do business in next season's schedule. I believe that I am of the very few that thinks that Montreal came away just fine, if not a little better, after this deal, from a hockey perspective. It's all about the Blue Jackets today! As news of the Seth Jones extension came through, there was a mention that the Jackets had signed their top pick from last weekend's draft, as the 3rd overall selection, Pierre-Luc Dubois, signed his entry-level deal on Wednesday, giving him the max cap hit, pre-bonus, of $925,000, and then all of his A level bonuses, which could potentially have him around the $3 million mark, when it is all said and done. Columbus shocked a lot of people, bumping Dubois up the draft from his ranking going in and they have already had him on the ice at their development camp, so things are moving along quite swiftly for the centre. He will definitely be one to watch at training camp in September. The Minnesota Wild have announced that they signed forward Jason Zucker to a brand new deal, 2 years worth $4 million. The 24-year old forward hasn't quite excelled enough in Minnesota to earn himself a long-term deal, rather they continue to bridge him into a very reasonable deal, as he eats up minutes with marginal offensive success. Last season, he wasn't too far out of being pool worthy, finishing with 13 goals and 23 points in 71 games for the Wild, but without more minutes to his credit, he probably won't increase his production too much. If the pool gets any deeper though, he could figure in as a good late round pick. The first of two tremendous hockey deals dropping on Wednesday afternoon saw the Edmonton Oilers finally move one of their key core players for some defense, when they traded Taylor Hall to the New Jersey Devils for Adam Larsson. 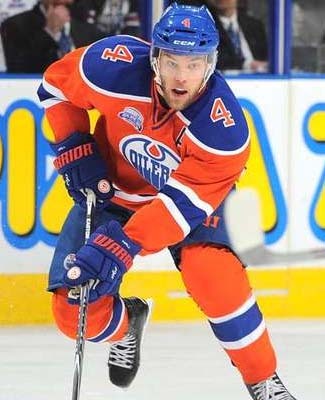 Hall, the 1st overall pick in 2010, Larsson the 4th overall pick in 2011, these were two very highly touted players and both could have been Oilers, if Edmonton drafted just a little bit differently in 2011. The Devils are going to get themselves a premier forward, who is finally coming around to be a more mature player and he certainly won't be overshadowed on a team in New Jersey. 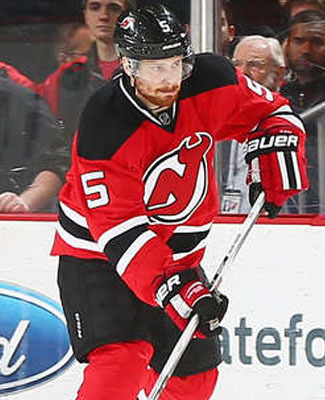 His free-wheeling nature should be an asset for a Devils team that really lacked any sort of character, ever since Scott Stevens left the team, so he'll be a great shot in the arm for this club. As much as the Devils do not really impress on paper, this does become a very positive situation for Hall, reuniting with former junior teammate Adam Henrique, a player he could just as easily line up with and do some damage with. I would be very inclined to project Hall in the 75-point range for the coming season and likely give Henrique a good boost as well. In Larsson, the Oilers will get some quality help on their blueline, but he hasn't quite blossomed into the guy that could have gone with the 1st overall pick in that 2011 draft just yet. Certainly, the Devils were not exactly a bustling hub for a lot of offense over the years, but even still, Larsson has had his ups and downs and his ups have been pool worthy, including the 2016 season. It will be interesting to see how Larsson fits into the system for the Oilers and who he may be paired with, but they will get a good all-around defender, who will be more likely to play every game, than the injury prone Hall. I would project a bit of a lift for Larsson's numbers, as the change of scenery will be good for him. My early thought would be in the 25-point range to start. Then there's the matter of the salary cap, where the Oilers start to save some space here, keeping themselves in the conversation for some key free agents, namely Milan Lucic. The Oilers now have about $14.7 million left to fill three voids, including a back-up goalie, so they should be players this Summer. The Devils don't mind taking on a little bit more of a cap hit, as their projections are still well below the cap floor today. The San Jose Sharks were working on their housecleaning before the free agency period officially opened up, inking trigger man forward Tomas Hertl to a new bridge deal, giving him a 2-year deal, reportedly worth $6 million. Hertl, 22, was a key part of the Sharks' run to the Stanley Cup Finals and has managed to contribute adequately for a couple more years with the team. In the regular season, the Czech finished with 21 goals and 46 points in 81 games, ranking 101st among all forwards in scoring. With Hertl in tow, the Sharks have the better part of their core group that went deep into the playoffs, which should keep expectations for the coming season nice and high. The lack of change in the Sharks' lineup, however, may limit the ceiling that Hertl has, in terms of his projections for next season, as I think he might level off in the 45-point range. To me, he isn't quite the player that will take the team on his shoulders and lead by example, but he'll contribute at key times. With only a couple more days for buyouts, the Calgary Flames announced that they were joining in by placing Mason Raymond on unconditional waivers for the purpose of buying him out. Cap savings on this move will be $2.1 million, but will carry a cap hit of $1.05 million, both this year and next. His buyout deals are here, posted on CapFriendly. Raymond only played in 29 games for the Flames in 2016, spending the rest of the season down in the minors or was a healthy scratch, so the big cap hit wasn't feasible for that kind of player, who wasn't in the long-term plans. The Nashville Predators were also looking ahead, placing forward Eric Nystrom on the same unconditional waivers, as they are in a cap-saving mode as well. Nystrom was scheduled to be a $2.5 million cap hit for the 2016 season, but his buyout tomorrow will mean that the team saves $2 million this season, while being a $500,000 cap hit this year and a $1 million cap hit next season. All of his details are here. In 46 games last season, the 33-year old forward scored 7 goals and no assists. The fear of offer sheets got the best of the Columbus Blue Jackets or so we're supposed to think. With Seth Jones, potentially their best defenseman here shortly, they needed to get a deal done before the floor opened up to restricted free agency and the vultures (or other NHL teams) couldn't put the pressure on. The Jackets were already dealing with some salary cap concerns, heading into the Summer, but they knew that Jones was a top priority for their club, not too long after acquiring him from the Nashville Predators in the deal that sent Ryan Johansen the other way. On Wednesday morning, the club announced that they had signed Jones to a 6-year contract extension, reportedly worth $32.4 million in total, a $5.4 million cap hit per season. By my count, which you can see in the table below, the projected roster is already up to 20 players and they only have about $1.675 million left under the ceiling. 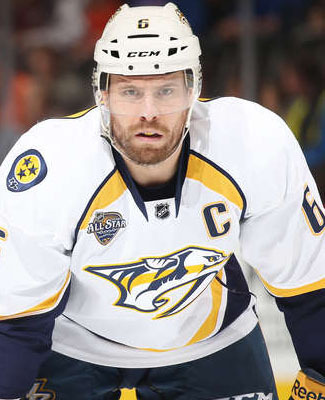 For us poolies, Jones, just finishing his third season in the NHL, is certainly starting to come around offensively, ranking 49th among all defensemen in scoring with 3 goals and 31 points in 81 games between Nashville and Columbus. The move has allowed him a lot more responsibility with his new club, which can only mean good things for both the player and the team, not to mention the hockey pool team that selects him next season. I think his projections for next season will improve impressively. Don't forget, the World Cup of Hockey pool, which we'll have before the NHL season gets started, an announcement coming tomorrow... he'll be a part of the North American Under-23 team and should feature as a big part of that team in September. Andrew Shaw... signed, sealed and stickin' around Montreal for six seasons. One of the big deals at this year's entry draft saw the Blackhawks part ways with the gritty forward in an attempt to help their own salary cap causes. Shaw, 24, signed a 6-year deal, reportedly worth $23.4 million (a $3.9 million cap hit per season) with his new club and plans to be part of the long-term solution for the Canadiens. Shaw isn't exactly known for his offensive flair, but he did pot 14 goals and 34 points for the Blackhawks last season, ranking him 250th overall in pool scoring, 178th among all forwards. He won't win any scoring titles, but he is useful in more than one situation, that's for sure. Shaw's deal does carry a pretty long term, but his cap hit is quite comparable, especially to new teammate Brendan Gallagher, whose playing style is very similar to Shaw's. The 17 roster-ready players I have for this team are coming in at a cap hit of $62 million, after buyout numbers on their books, so they still have a little bit of room to play with for their roster spots to be filled. Much being made about the restricted free agents that were not qualified on Monday, one signing almost fell through the cracks, as the Arizona Coyotes didn't have to extend a qualifying offer to goaltender Louis Domingue, as he signed a 2-year, $2.1 million deal. The 24-year old netminder performed admirably, if not better, in the absence of Mike Smith, when he was out with injury through much of the second half of the season. Domingue appeared in 39 games for the Coyotes and picked up 15 wins and 35 points on a team that really wasn't making any waves in the standings. Among all goalies, he was ranked 34th in pool scoring, which would equate to a top level back-up in most circles. Smith still has three years left on his current deal with the Coyotes, but Domingue and his cap-friendly contract likely won't be too quick to push him out the door, but I would certainly look for the Coyotes to exercise Domingue a little bit more, now they know that they can trust him a little bit more. I wouldn't be too quick to over-project on Domingue in the coming season, but I would certainly expect him to be the number two guy, slowly creeping into that number one spot over the next couple of seasons. It isn't too often that a pool worthy player isn't qualified as a restricted free agent, but that is indeed the case for defenseman Justin Schultz, who wasn't qualified by the Penguins by today's deadline and he will become an unrestricted free agent on Friday. Schultz was the benefactor of being a free agent out of college and the Edmonton Oilers were willing to pay big money to secure his services and being a restricted free agent, meant that any qualifying offer had to offer a minimal raise for any new deal. His qualifying offer would have been north of $4 million and having only 18 points in 63 games last season, being a healthy scratch for those games missed, the Penguins were not going to get good value from him. Now that he is going to unrestricted free agency, the Penguins could still vie for his services, but he will be open to any offer from any team. The Calgary Flames got into the act, not qualifying forward Joe Colborne and keeping his restricted free agency status. It is very likely that there is no need for the team to qualify him, as there could be a deal already pending for his services, but it does have some strange optics when it happens. UPDATE: A tweet that came out this afternoon suggested that the arbitration rights were a big factor into why Colborne and a couple other players were not qualified. Colborne was ranked 109th among forwards in scoring with 19 goals and 44 points in 73 games and has been hinted at as one of the players the team needs moving forward. Adding to this list is forward Brandon Pirri, who wasn't qualified by the Anaheim Ducks, as teams continue to clean house a little. Pirri was ranked 195th among all forwards in scoring in 2016, as he finished up with 14 goals and 29 points on the season. One would have to believe that Pirri would be a player that lands on his feet in this off-season, getting a new job somewhere. His 14-goal total is nothing to be sneezed at. On Monday, the Vancouver Canucks announced that they have placed forward Chris Higgins on waivers for the purpose of buying out the remaining year of his contract. As per the CapFriendly buyout calculator, the Canucks stand to save $1.67 million from this buyout this year with the move, which should be completed on Tuesday. Higgins wasn't pool worthy last season, spending a good deal of the season in the minors, but he will become an unrestricted free agent and if he does find a new home, he could be certainly considered a fringe player, assuming he can find a place that can give him regular minutes. In 2015, he had 36 points and in 2014, he had 39 points, but the 33-year old has struggled for consistency. The Nashville Predators have locked up their featured forward, as Filip Forsberg has taken the team by storm and will do so for the foreseeable future. On Monday morning, the team and player agreed upon a 6-year, $36 million deal, making him the highest paid forward on the team and the 3rd highest on the team, following only Shea Weber and Pekka Rinne. Forsberg, 21, finished his second full season with the club, scoring 33 goals and 64 points in all 82 games, ranking 37th overall in pool scoring and 22nd among all forwards, setting career-highs in both goals and points in the year. The Predators are still trending upwards and their second round loss to San Jose in the playoffs was oh so close to a berth in the Conference Finals and the inclusion of Forsberg has a lot to do with that trend continuing. Forsberg has displayed some maturing skill, becoming a 30+ goal scorer in 2016 means that he should be well on his way to being a 40-goal scorer in the next few years, assuming the Predators continue to bring in more talent to play around him. There's no doubt that the acquisition of Ryan Johansen was a huge help, but they are still another scoring forward away. With Forsberg now on the books, I have the team's cap commitment up to $64.1 million for 18 players and they still have Calle Jarnkrok still to sign, as a pool worthy restricted free agent in this off-season. How they fill the rest of the spots, still remains to be seen.